Dan Pringle’s debut feature K-Shop sees a modern take on Sweeney Todd, whilst using a far too common sight in today’s society – Booze Britain. Salah (Ziad Abaza) is a student in the midst of his dissertation, his father a kebab shop owner fresh out of hospital dies after an altercation with some local drunks. Salah is left with no choice but to pick up the reigns of the shop and begrudgingly provide the nightlife of Bournemouth with a doner and chips. The narrative of the film comes in numbered sections each representing progression of the plot to some degree, although its linearity doesn’t need it. The new nightclub in town, which also happens to be Salah’s deceased fathers dream restaurant location is opened by the highly unlikeable latest ‘Big Brother’ winner Jason Brown. With the heightened influx of boozed-up punters Salah ends up in his own fight with a customer, resulting in his grizzly deep-fried death. At the end of his tether and still grieving from his fathers unnecessary death Salah disposes of the body, nothing is wasted – kebabs are back on the menu! The remainder of the plot plays out like a dark thriller, Salah playing a vigilante ridding the town of its boozy evil, whilst his main focus isn’t just killing for the sake of killing his objective lies more in the root cause of the problem. Many of the shots of late night party-gooers are legitimate and were taken on location – if you were wondering why they looked like an average Saturday night down the town….well they are! Fights, vomiting, alleyway leg over’s, the inability to walk in a straight line after a hard ‘sesh’, its grimy footage and whilst Salah’s methods are extreme you can’t help but empathize with his situation. A handful of deaths (some more violent than others) keep things moving along, whilst there’s not wall to wall splatter they are quite brutal in nature, Salah’s dungeon under the kebab shop is almost as notorious as Mrs Lovett’s pie shop. My only real criticism comes from the runtime of the film, weighing in at a hefty 120 minutes, the second half of the film does have a bloated feel to it. That said the film follows the same pace throughout and sticks to its narrative making it harder to distinguish scenes which perhaps could have been refined. Solid performances all round from what appears to be a fairly young fresh cast, Abaza absolutely plays a great role and nails the unhinged feel of his character. His victims are all played to the tea, being completely unpleasant – you feel nothing for them. 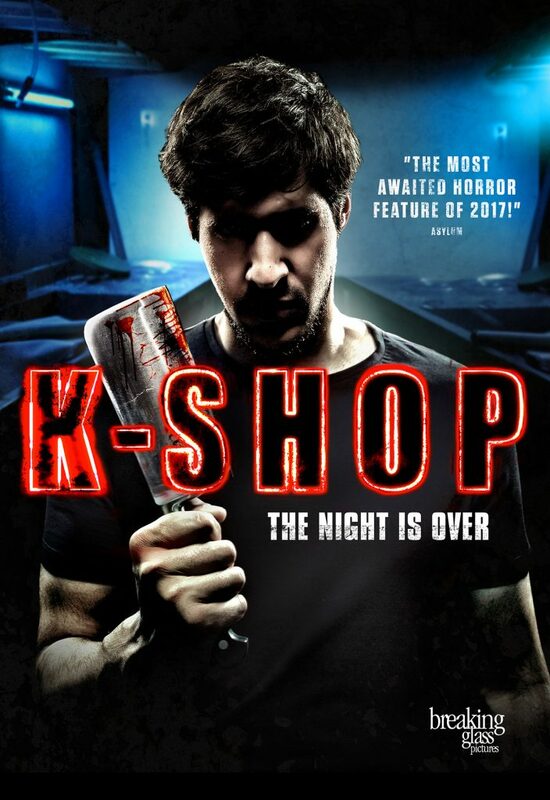 There’s no denying K-Shop is a solid British horror, naturally it has a modern feel to it, helped nicely along by its soundtrack. The binge drinking commentary is sure to resonate with most people to a degree, whether an avid partier or otherwise. If you’re in the mood for a no-frills linear horror K-Shop has you covered, just think twice if kebabs are your favourite evening meal.